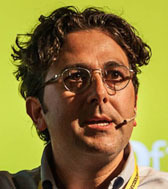 We study human behaviors emerging from the interplay of cognitive and emotional systems. Our objective is to apply robust methods and findings from behavioral decision theory to study the brain structures that contribute to forming judgments and decisions, both in an individual and a social context. 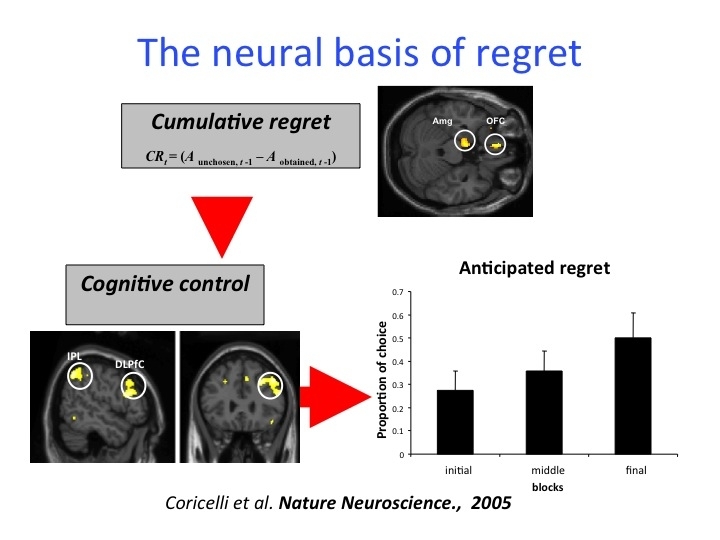 We study (1) the role of counterfactual emotions, such as regret and envy, in decision making (fMRI and Orbitofrontal patients studies); (2) the neural basis of bounded rational behavior: limit in depth of strategic reasoning; (3) the neural correlates of individual and social uncertainty: disposition effect, aspiration level, ambiguity, strategic uncertainty; (4) how the brain encodes learning signals: regret/fictive learning, reputation building, transfer learning; (5) impaired decision making in schizophrenia and autism. 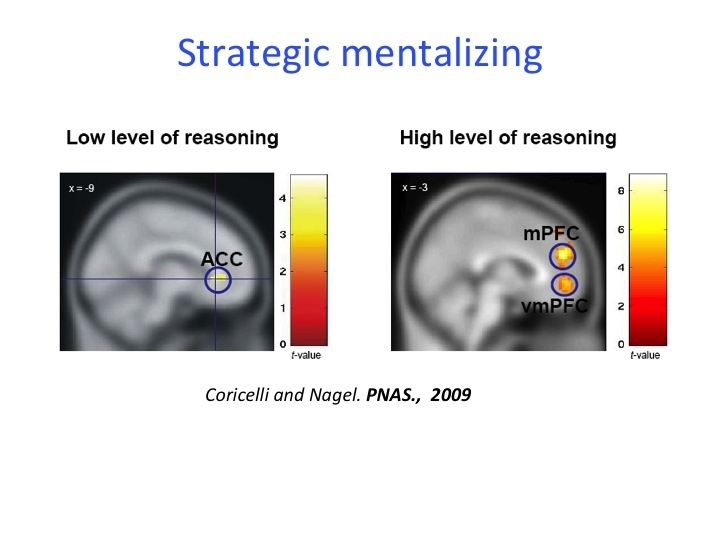 We conduct our research using a fundamentally multidisciplinary approach (Neuroeconomics), drawing from behavioral and experimental economics, game theory, neuroimaging (fMRI), neuropsychology (patients studies), and cognitive neurosciences. Mailing Address 3620 S. Vermont Ave.
Palminteri, S., Khamassi, M., Joffily, M., and Coricelli, G. (2015). 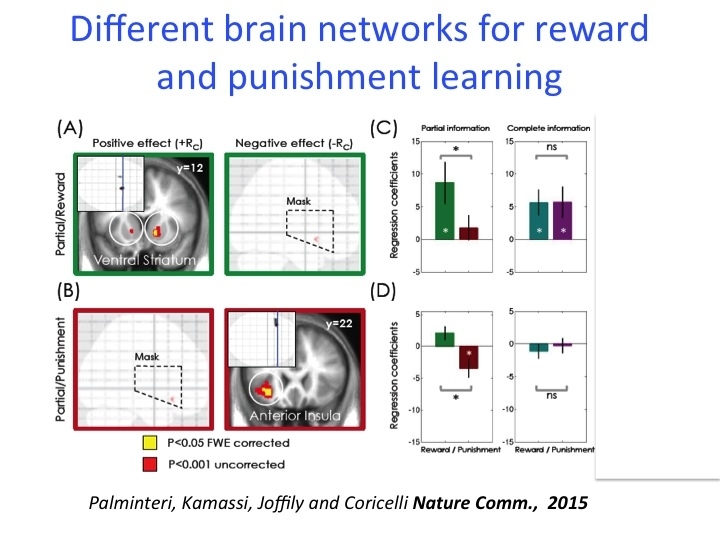 Contextual modulation of value signals in reward and punishment learning. Nature Communications, 6:8096.